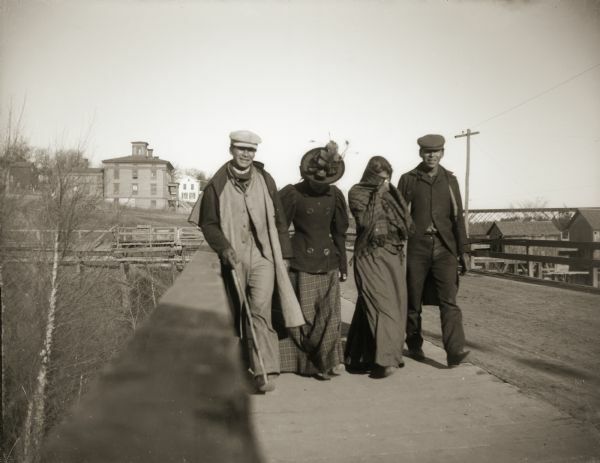 Four Ho-Chunk people crossing a bridge spanning the Black River. This photograph was taken before the flood of October 1911, when the bridge was completely destroyed. The image appeared in the November section of the 1992 Wisconsin Historical Calendar.